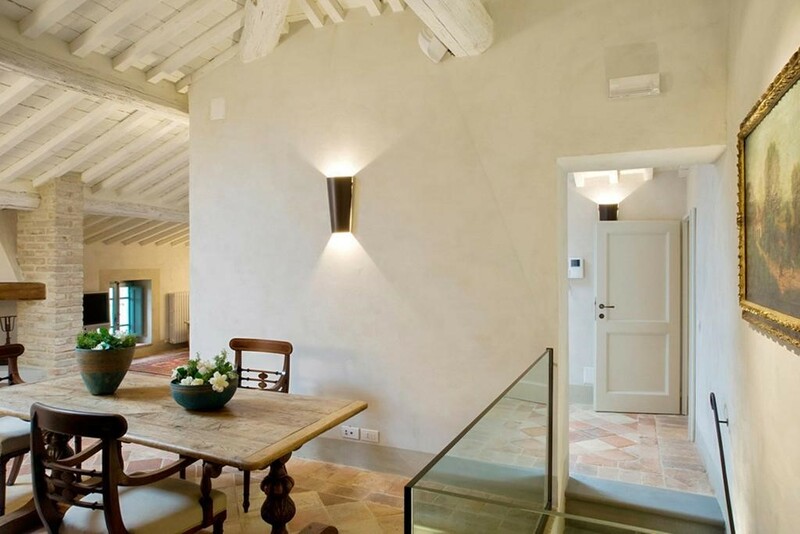 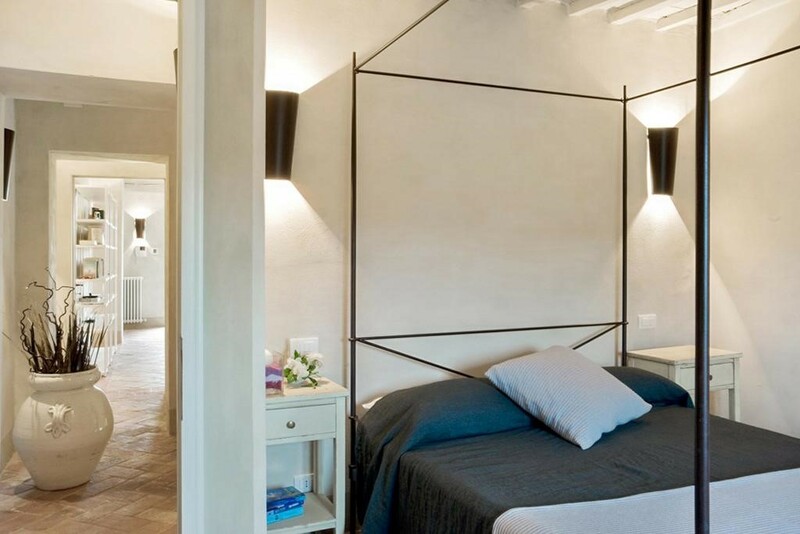 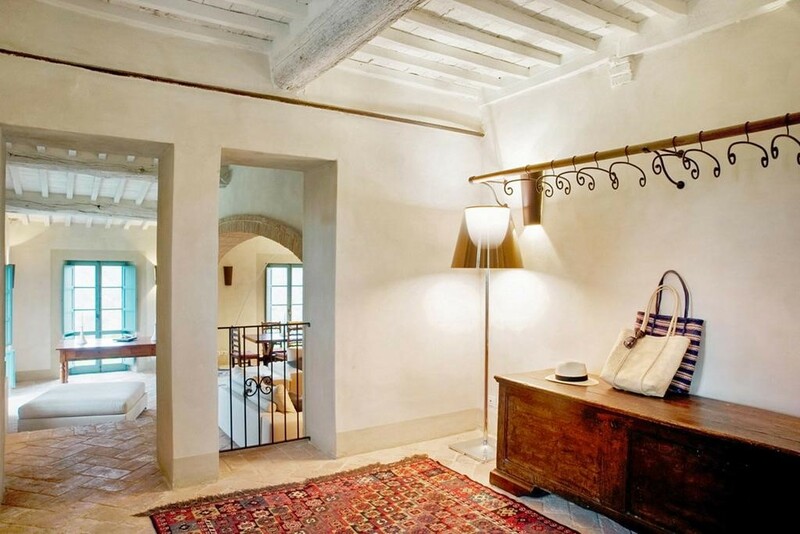 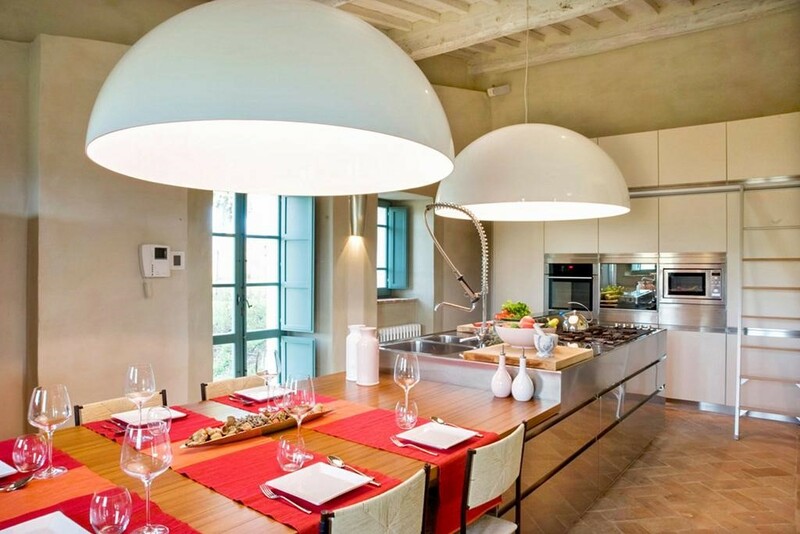 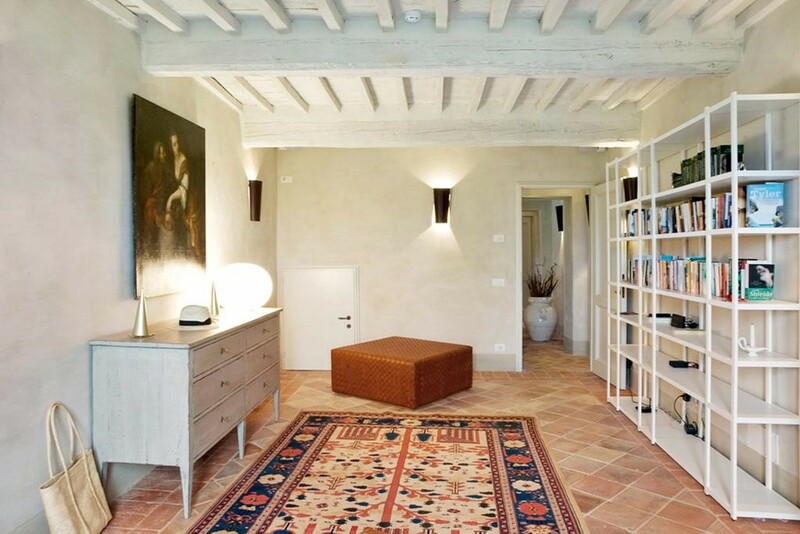 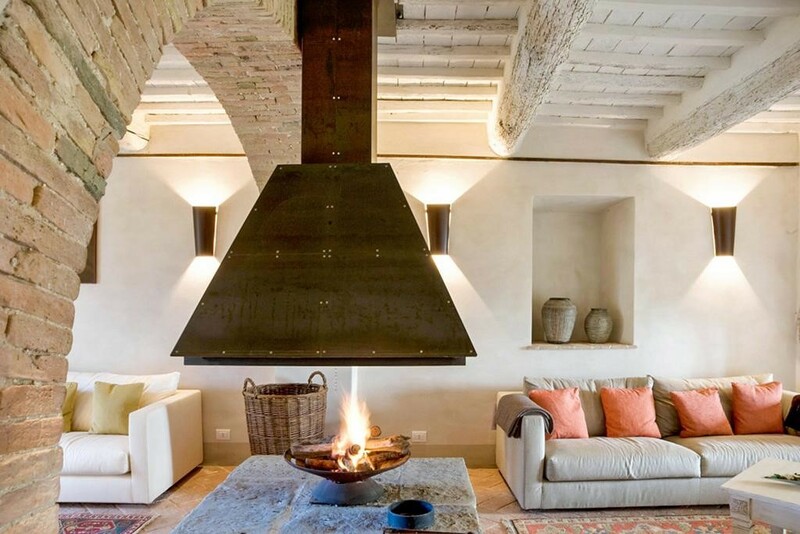 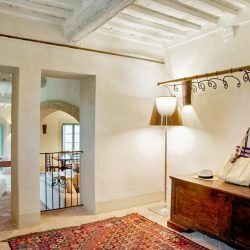 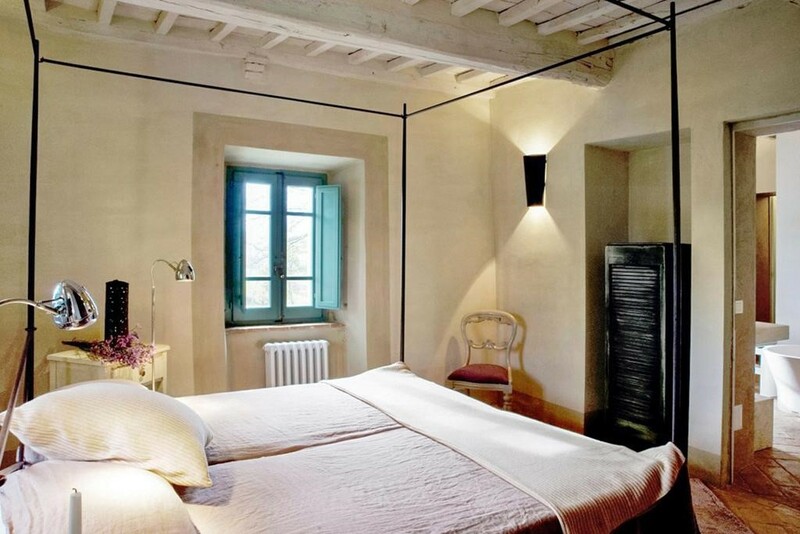 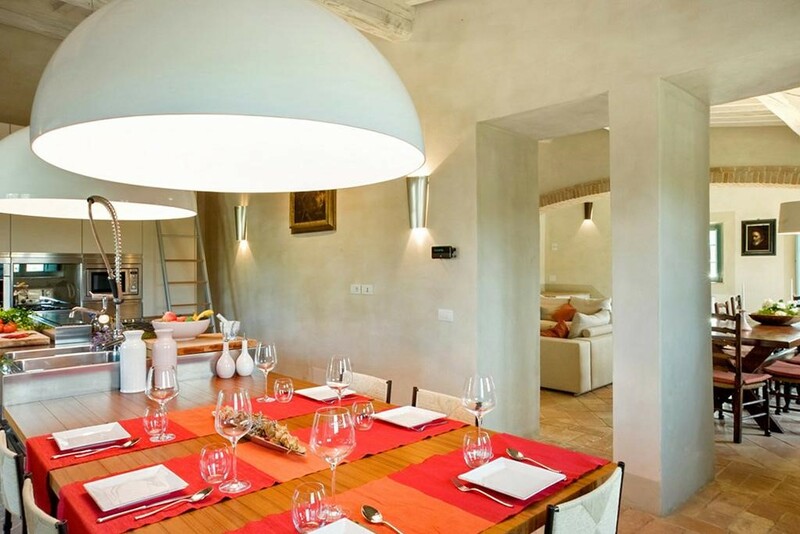 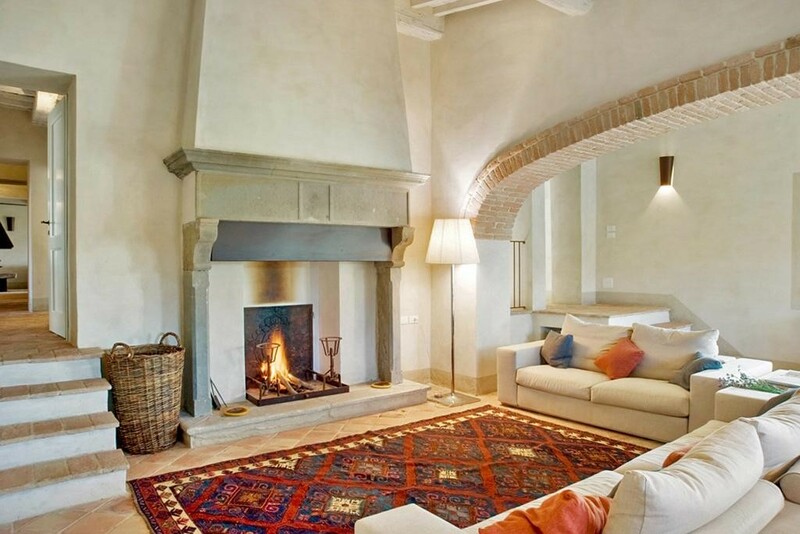 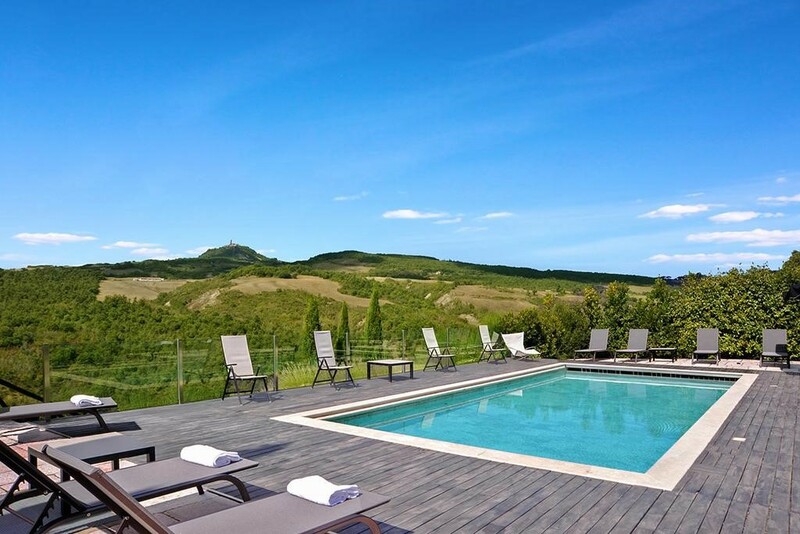 Luxury Rental – Villa Colombaiolo. 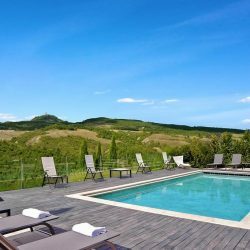 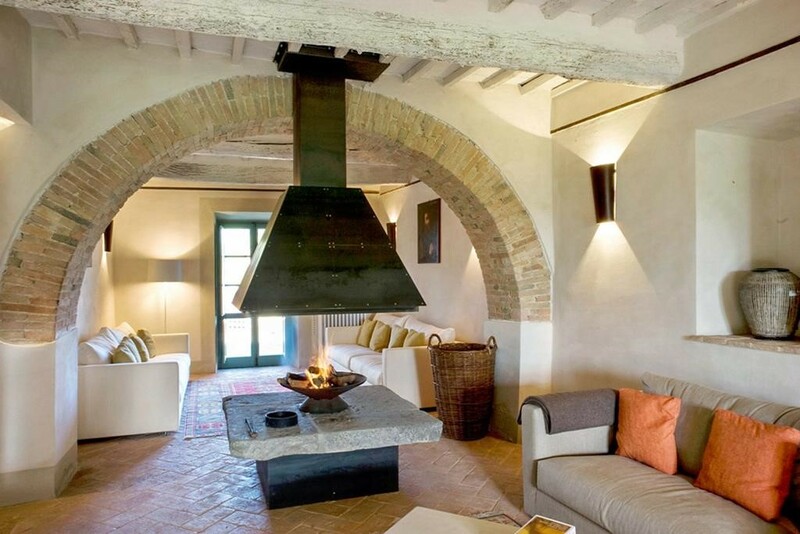 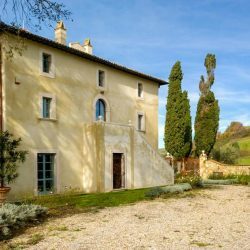 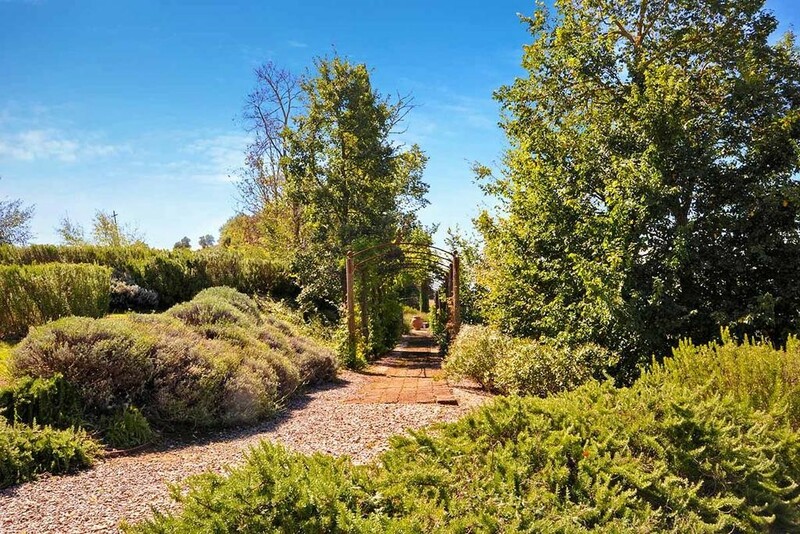 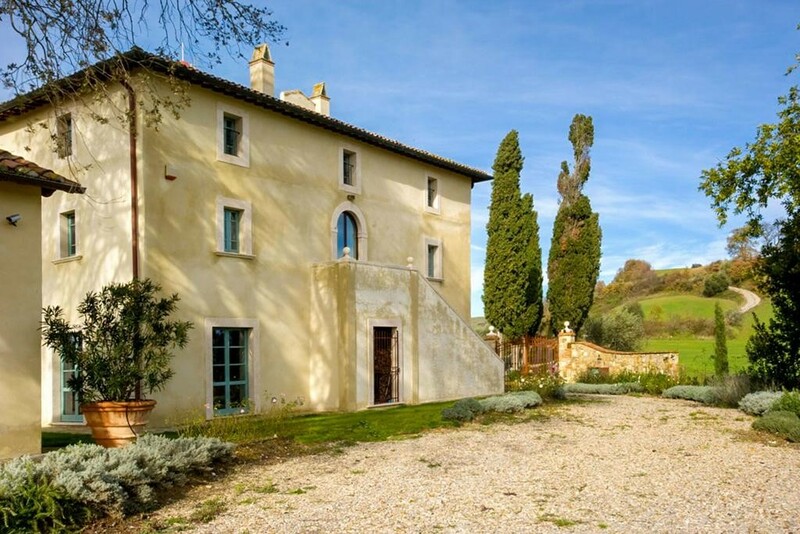 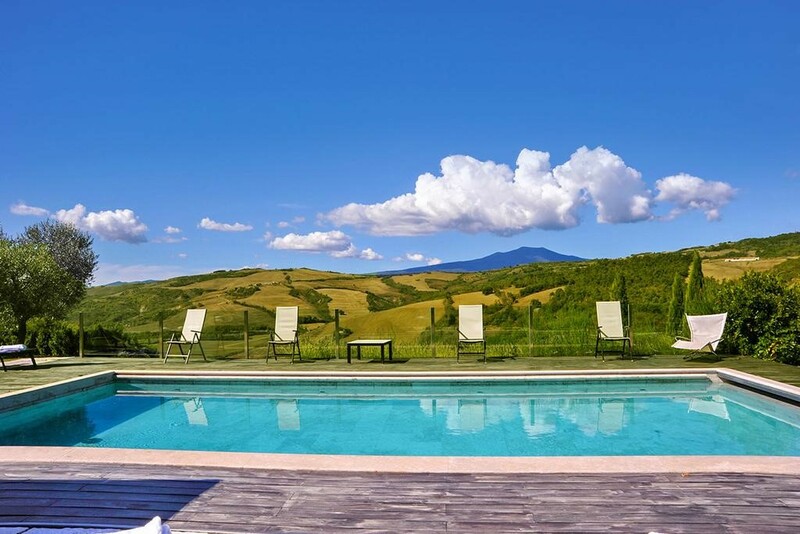 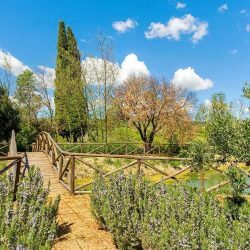 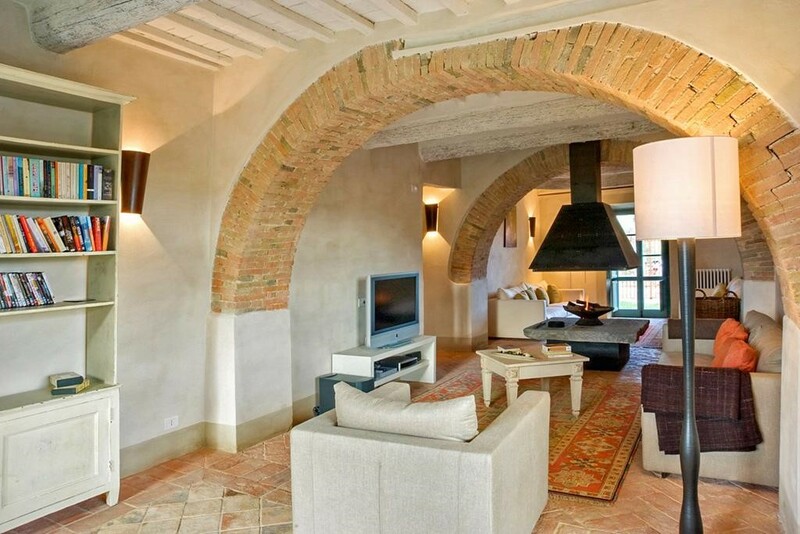 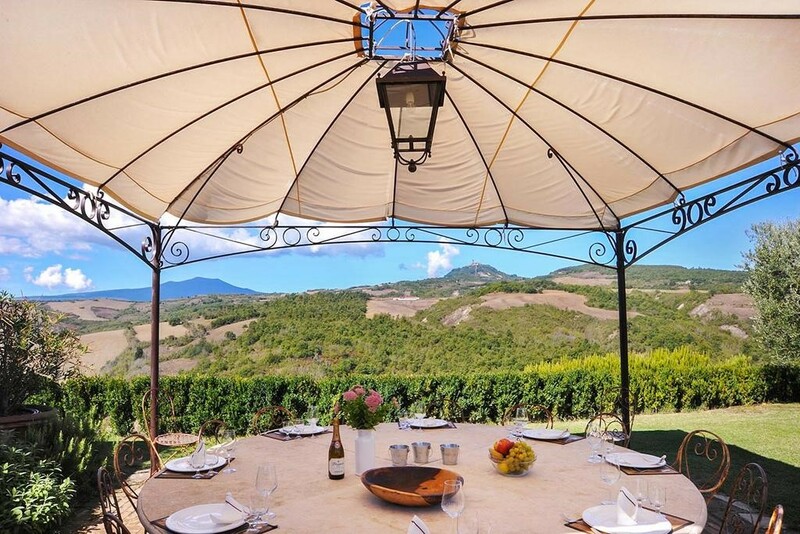 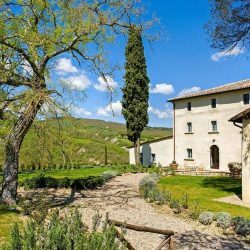 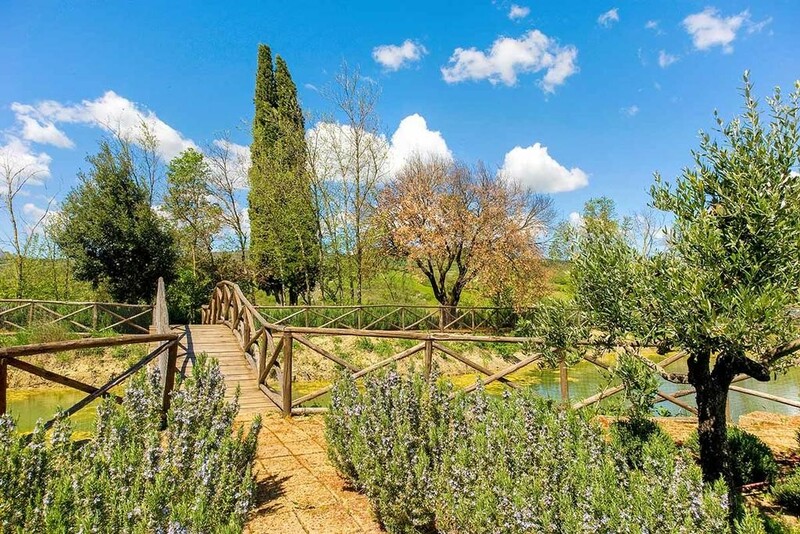 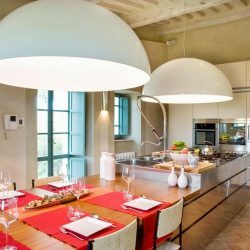 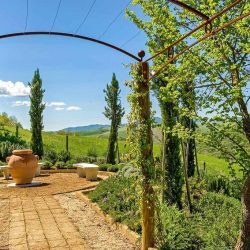 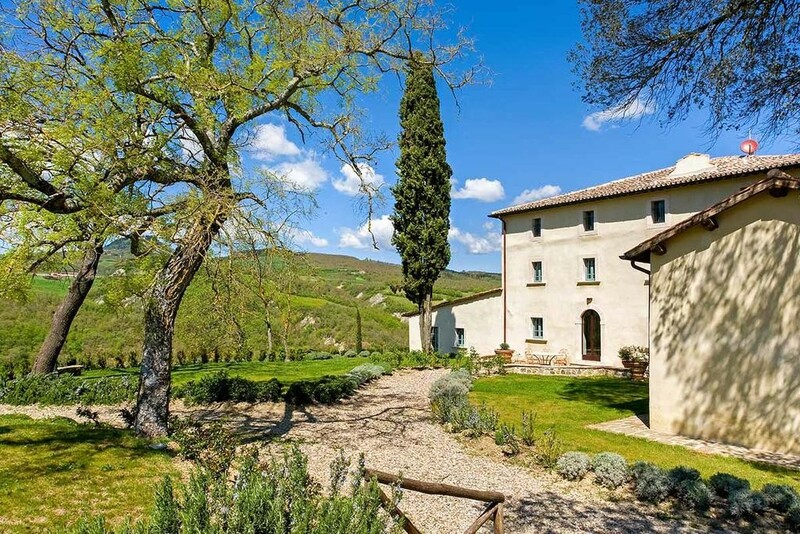 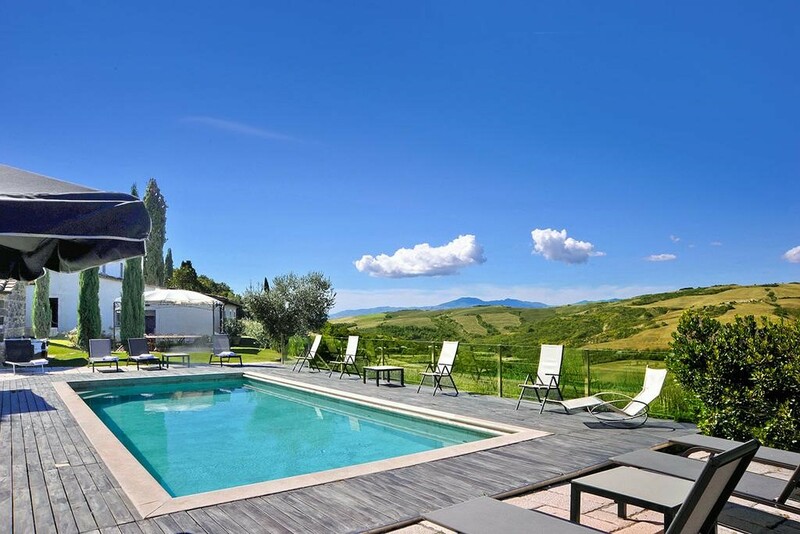 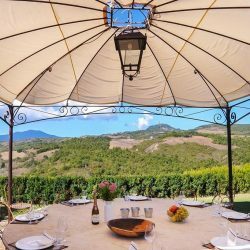 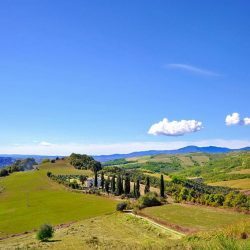 This breath taking villa is located 7km from the Tuscan village of Radicofani and boasts wonderful views of the verdant surrounding landscape. 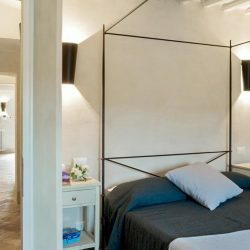 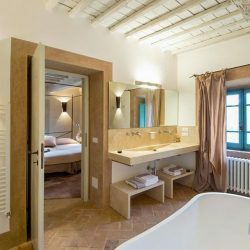 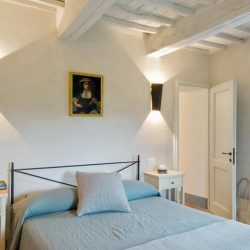 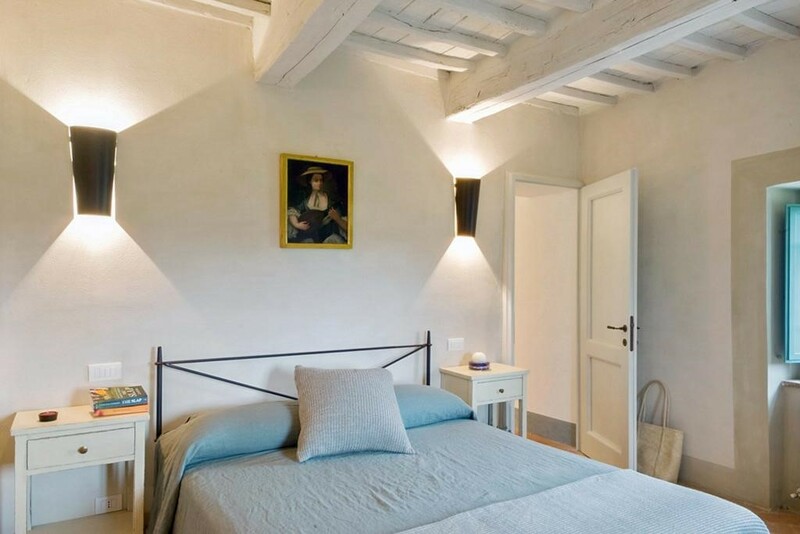 With a beautiful, light and airy interior that combines contemporary style with historic features, the villa has been finished and furnished to the highest standards. 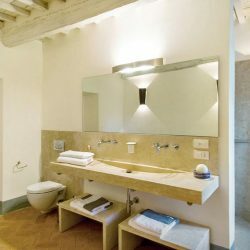 It has 9 en suite bedrooms and sleeps up to 17 people. 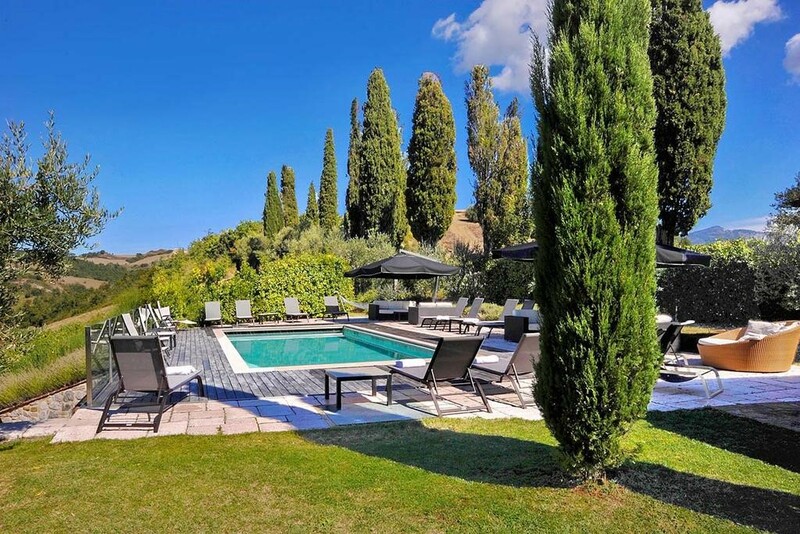 This magnificent residence is equipped with all modern conveniences., including air-conditioning and boasts a lovely pool and a sauna for 4 people as well as a delightful enclosed garden with superb outdoor areas ideal for alfresco dining and a tennis court. 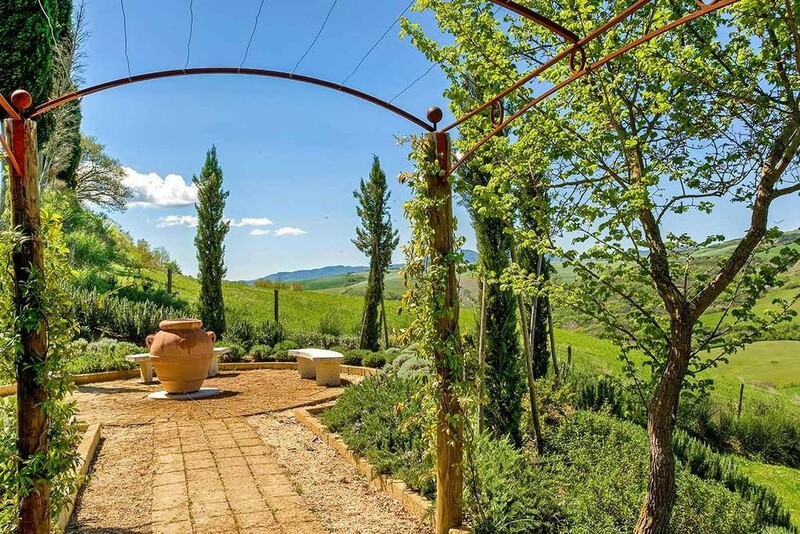 It even has its own small vineyard and olive grove. 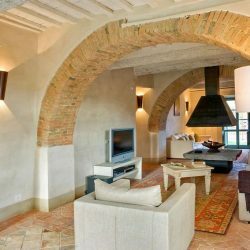 Ground floor: Entrance hall and cloakroom; meeting room with monitor, satellite TV and two pc stations with printer and fax; large living room with central fireplace, satellite TV, Sky tv and home theatre system; double bedroom with en-suite bathroom with shower and exit to the garden; lounge with pool table; laundry with washing machine and dryer; main hall with large fireplace, satellite TV, Sky TV, home theatre system and 3 exits to the garden; large kitchen with oven, microwave, dishwasher, American fridge with ice dispenser, table, plate warmer, toaster and exit to the garden. 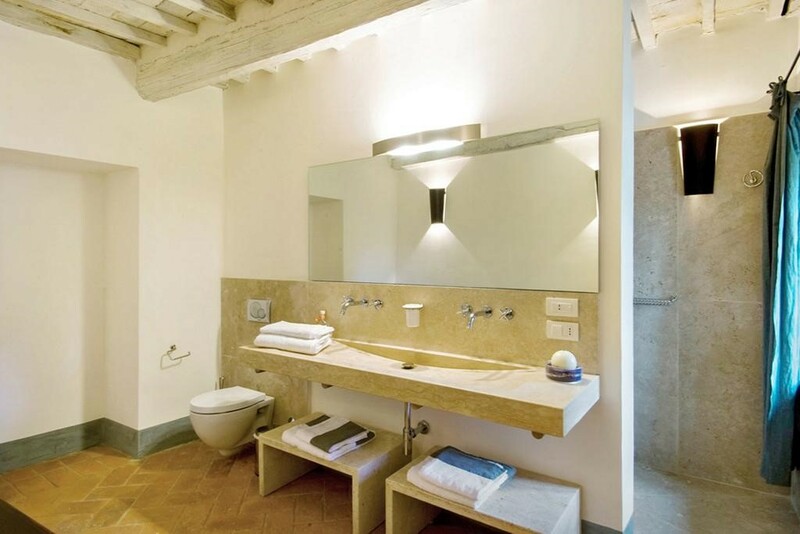 First floor: Living room with exit to the garden; 3 double bedrooms each with en suite bathroom with shower and bath; twin bedroom with en-suite bathroom with shower. 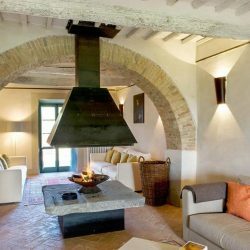 Second floor: Living room with fireplace, satellite TV, Sky TV and home theatre system; 2 double or twin bedrooms; double bedroom with en suite bathroom; bedroom with French bed and en suite bathroom. 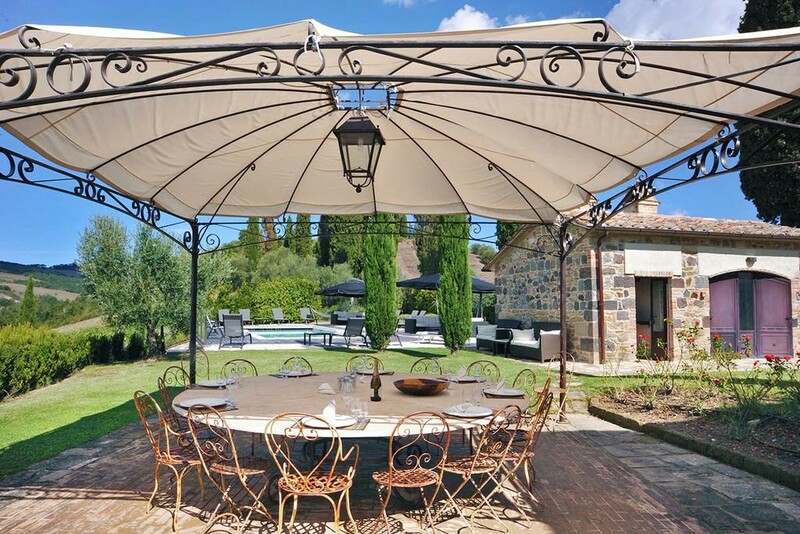 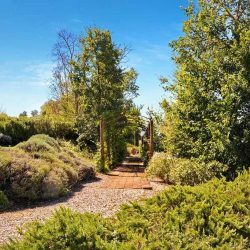 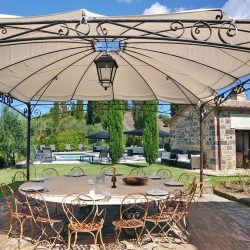 Fully enclosed garden with small vineyard and olive grove, tennis court, pond, pergola, organic vegetable garden and gazebo. 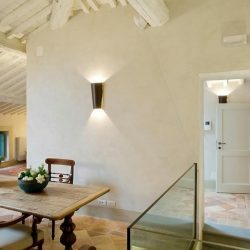 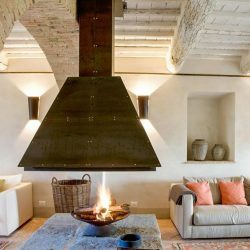 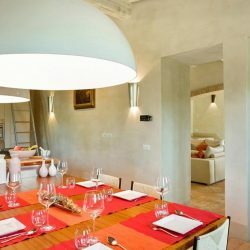 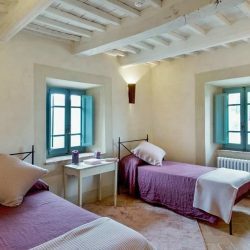 Swimming pool, sauna, wood oven, cellar, bowls, air conditioning in each room, internet, alarm, heating, automatic entry gate. 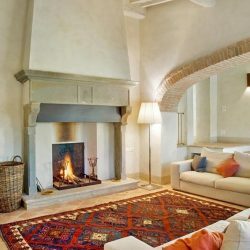 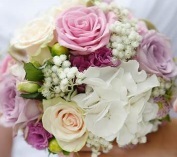 Massage, cookery lessons, wine tastings, baby sitting in your language, in house chef, bicycle rental, cleaner, car rental. 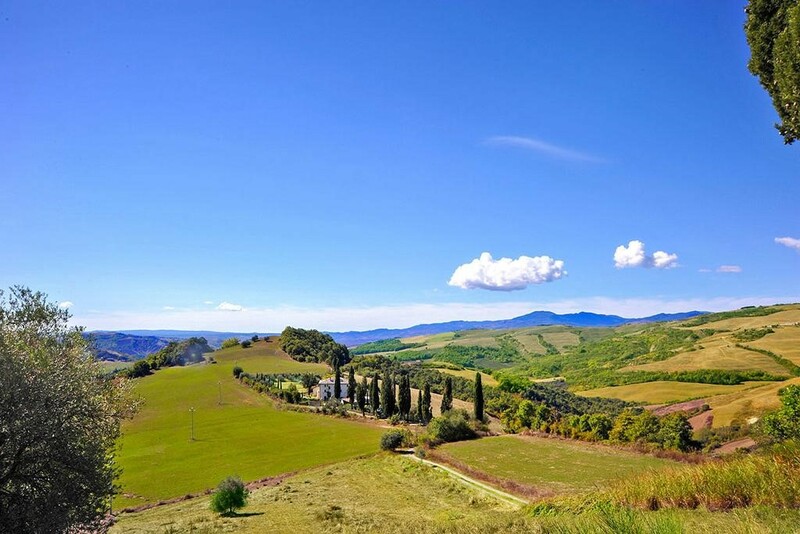 Radicofani 7 km, San Casciano dei Bagni 15 km, Pienza 25 km, Montepulciano 35 km. 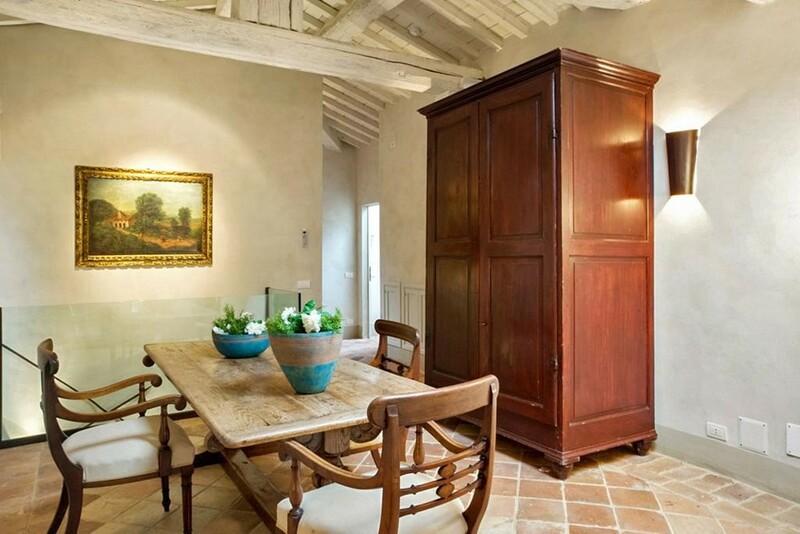 Prices start at €10,360 per week rising to €13,405 per week during peak season.